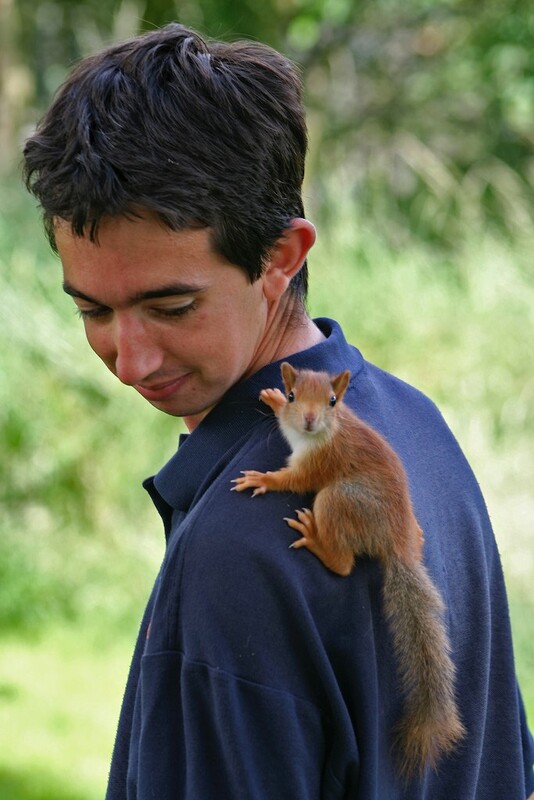 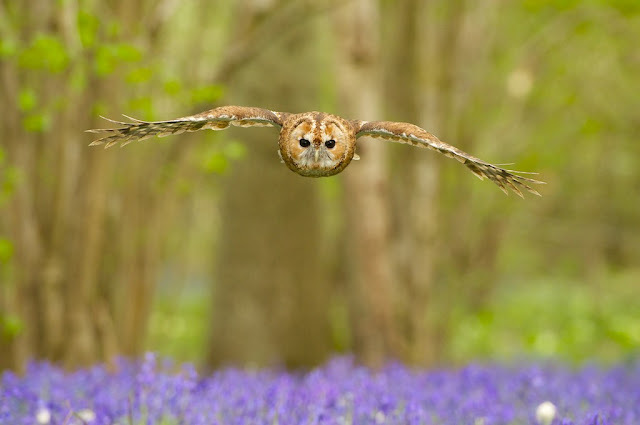 We took down the tawny owl, little owl, eagle owl and even a hedgehog. 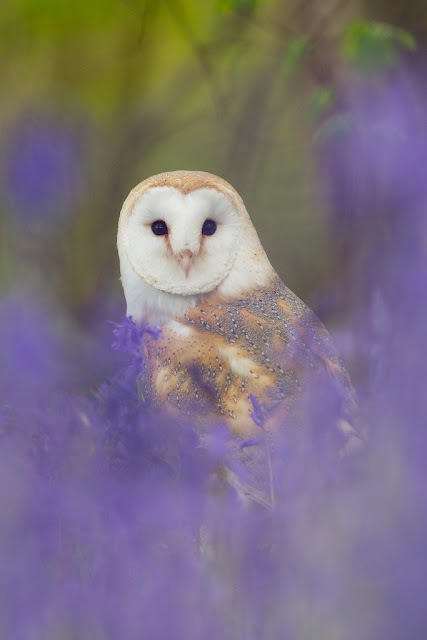 Rich bought his barn owl in the other day... Tutoke. So I thought, why not, and took her to the woods for a few minutes. 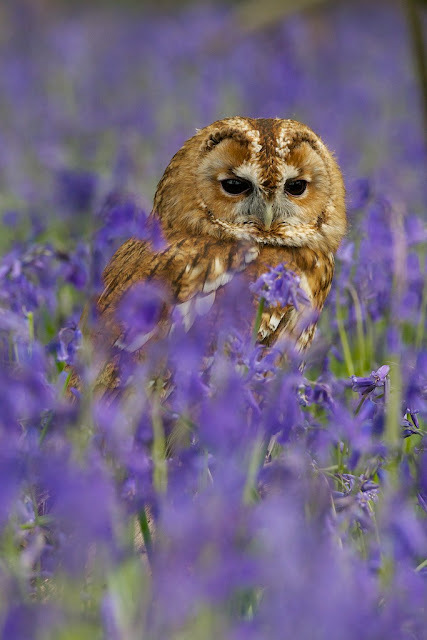 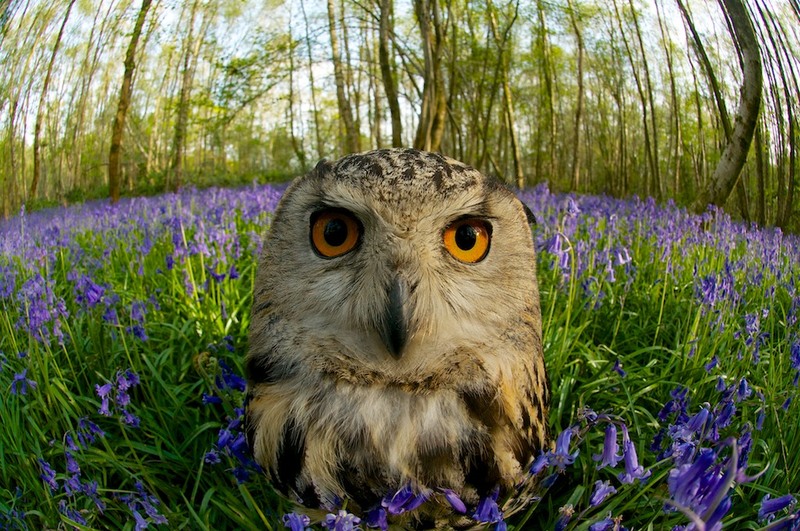 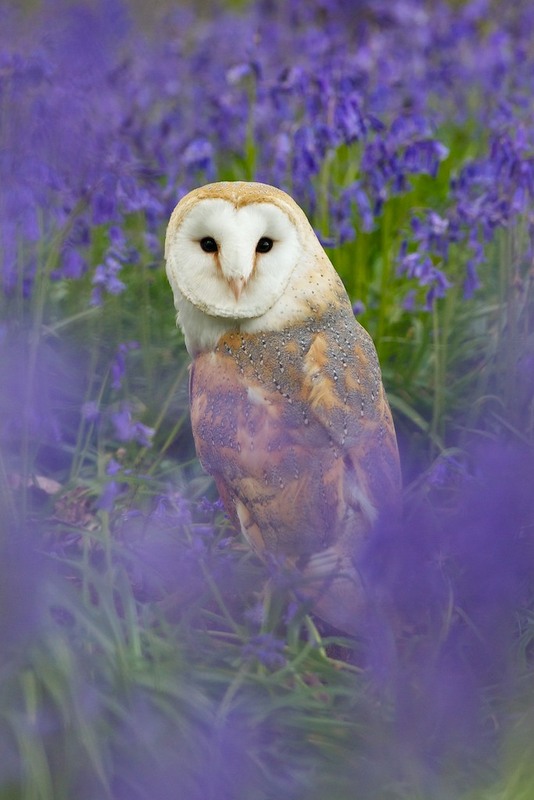 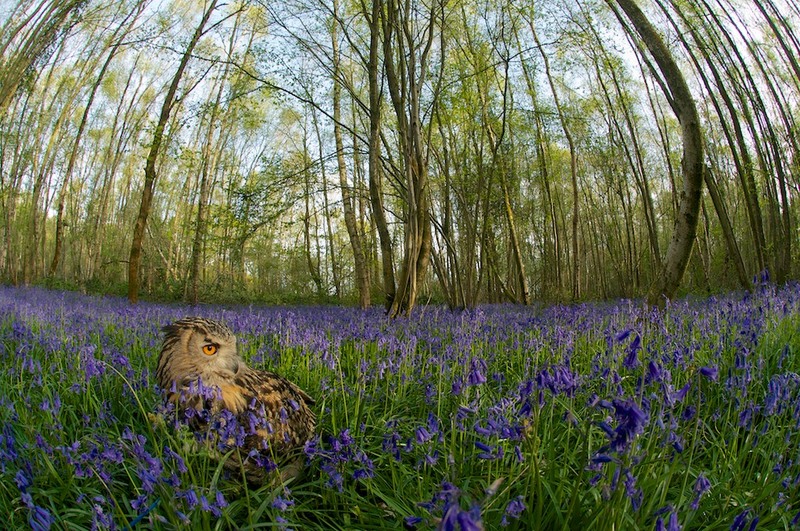 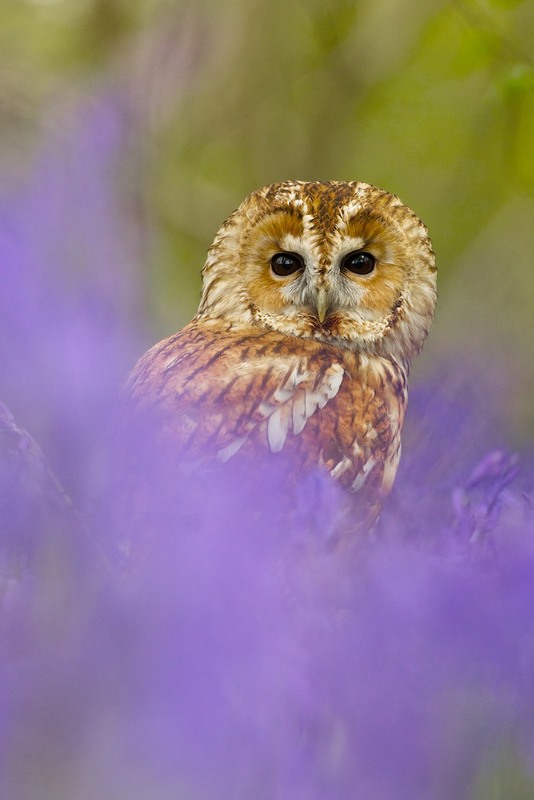 She is a beautiful barn owl, even if being in the bluebells isn't too natural.